The moment of truth is here. 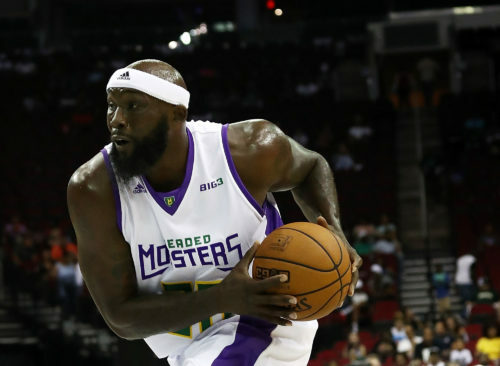 Top-seed Power takes on 3’s Company for the 2018 BIG3 Championship on Friday night at Barclays Center in Brooklyn. If you can’t make it to Brooklyn for the game, catch it on FOX beginning at 8 p.m. ET. The game features a pair of MVP candidates in Power’s Corey Maggette and 3’s Company’s Andre Emmett. Both were among the leaders in almost every statistical category. The game also features a matchup of the BIG3’s two rookie head coaches. Nancy Lieberman took over Power this season and became the first female to coach a men’s professional sports team. Michael Cooper took over 3’s Company when last year’s coach, Clyde “The Glide” Drexler, was named BIG3 commissioner. Power (8-1) comes into the title game as the top seed in the league. Their only loss of the season came at the hands of Tri-State in Week 3, and they’ve won six straight since then – including the rematch against Tri-State in last week’s playoff thriller. Power was the top scoring team in the BIG3 during the regular season and also allowed the fewest points. Three’s Company (6-3) finished the regular season as the third seed, and then they routed the second-seeded 3-Headed Monsters in the playoffs. 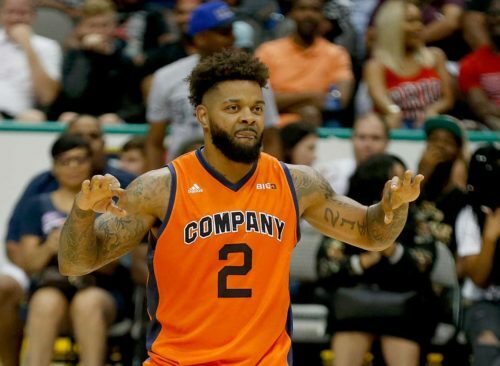 Captain DerMarr Johnson was the only player on the Week 1 roster who played in the BIG3 last season, but the team came together as the season progressed. They finished third in the league in scoring and second in fewest points allowed. The title game is a rematch from Week 2, a 50-44 win for Power. Lieberman’s squad led by 10 at halftime and by as many as 12 late in the game. An 8-0 run by 3’s Company made it interesting, but Power closed it out. 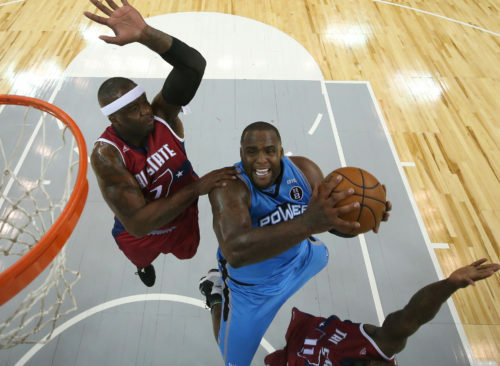 Three players scored in double figures for Power – Cuttino Mobley (18), Corey Maggette (16) and Glen “Big Baby” Davis (14). Baron Davis led 3’s Company with 27, including three 3-pointers and a 4-pointer. Here’s the boxscore. Power captain Corey Maggette was a force all season. After missing all but the first game of last season, he came back strong in 2018 – but his coach doesn’t want him to be named Comeback Player of the Year. Lieberman would much rather see Maggette be named MVP. Maggette was the only player in the league to finish in the top three in points, rebounds and assists. Andre Emmett, who was the second overall player taken in the 2018 BIG3 draft, absolutely blew up in the second half of the season. Through the first four games of his BIG3 career, Emmett averaged 11.8 points per game. Over the last five games, he’s averaged 21.4 ppg. That includes a 25-point effort in last week’s playoff win over the 3-Headed Monsters. Emmett finished fourth in the league in scoring, sixth in rebounds, fourth in assists and second in steals. Power has two players who finished in the top five of the league in blocks. Chris “Birdman” Andersen led the BIG3 with 11 blocks. Cuttino Mobley was fifth with 6 blocks. Regardless of which team wins Friday, history will be made by the game-winning coach. Lieberman, of course, is already the first female to coach a men’s professional team. So if Power wins, she’ll be the first female coach to lead a men’s team to the championship. And 3’s Company coach Michael Cooper is already the only person to win a championship as a player or coach in three leagues (NBA as a player, WNBA and D-League as coach). If 3’s Company wins, Cooper will be the first coach ever to win titles in three different leagues.